· Pneumatic back tilting post, vertical and horizontal arm can be locked pneumatically at the same time. · Larger and thicker turntable, dismounting 11" -24" rim and max. 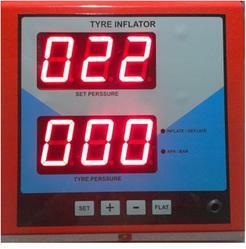 Tire diameter 1100mm. · 40A reverse switch .silver point, which can bear more pressure and work for a long time. · The hexangular shaft is made of S41, which can avoid the distortion and error when operate the 11"-24" stiff tire. 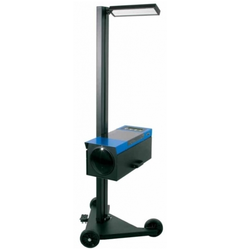 · Foot pedal is made of high quality steel material which can work for a long time. · Powerful Ø 100 cylinder. 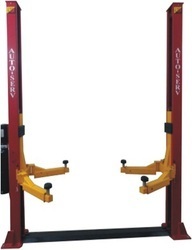 Auto-Sery presents Double Cylinder Technovate Electro-Hydraulic Two-Post Lift which is very simple stable in operation. 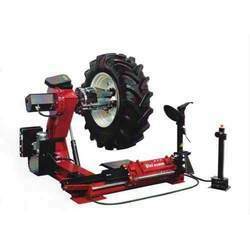 It's easy maintenance convenient operation makes it wonderful equipment for the automobile workshops. 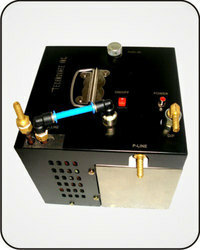 We are reputed for providing supreme quality range of different sorts of superlative equipments and machines. 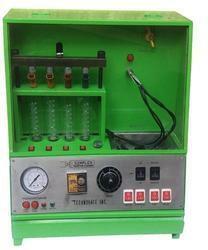 Our products are developed from excellent technology and the range includes: Nitrogen Gas Inflator, Automatic Tyre Changer, InjectorCleaning Machine (digital Simplex), Injector Cleaning Machine (simplex), Injector Cleaning Machine (ultra Sonic Reverse Flow), Injector Cleaning Machine, Fuel Average Testing Machine and Fuel Average Testing Machine (5 lts.). 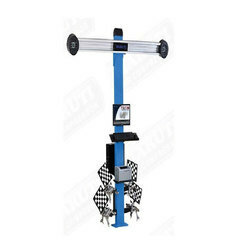 in addition to these, we also offer fuel average testing machine (with digital printer), computerized wheel aligner, nitrogen gas inflator, automatic tyre changer and computerized wheel balancer. 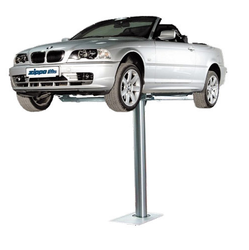 With regard to our manufacturing expertise, we have gained prominence in the eyes of clients’. Further, we are able to provide quick value added services like installation and some other related services. Our personnel procure the raw materials from experienced vendors, and our highly qualified procurement agents and quality controllers keep a check on the quality standards of the vendors’ premises before carrying out the procurement process. We have set new standards in the market and are engaged in catering to both domestic and international markets. We charge competitive rates and our client list includes authorized dealers of Maruti, GM, TATA, Hyundai.